Last week we heard again about entry level Windows laptops aiming to quash the Chromebook competition. HP launched an AMD Mullins powered touch enabled laptop at US$249. Part of its low-ish pricing could be explained by the presence of Microsoft's Windows 8.1 with Bing. Just a fortnight before Microsoft was presenting its strategic plan on how to win the battle against Chromebooks by "redefining the value category". 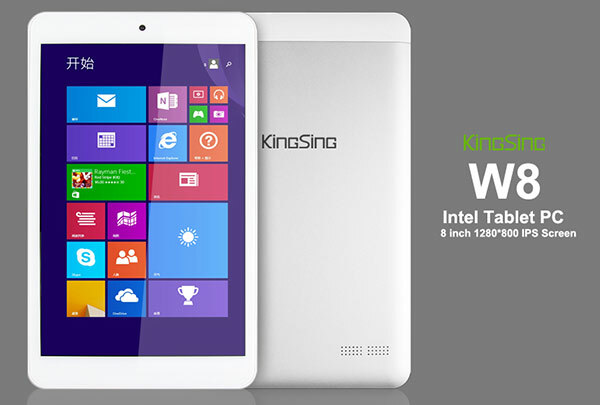 Now we have seen the first 'Wintel' tablet to be marketed at under US$100, the KingSing W8. 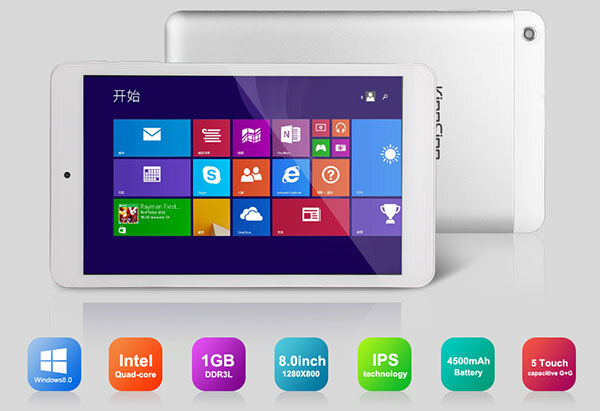 We saw the first 'Windows 8.1 with Bing' tablet launch at the end of May when Toshiba revealed its Encore 2 range. The cheapest of these new Toshiba devices also sports just 1GB of RAM (but at least 32GB of storage). For example an 8-inch Encore 2, with 1GB RAM and 32GB storage has a retail price of $199. I would assume the KingSing uses WIMBoot compression to maximise the available free space on its base 16GB of flash storage. Overall it sounds like a bargain, if it ever gets out of China and is priced in line with the exchange rates. However the proof of the pudding is in the eating and we'd need to have some time with this device in order to know if it's worth readers hunting it down. 1GB RAM? Even the newer Android builds have performance issues with that amount of RAM. Get rid of the 3G and spend all the saving on more RAM please!! Other than that, sounds like an excellent spec for the price. It would also need to be able to fit into one of those cases with the built in keyboard. This is half the price of a Nokia 1320. If Windows 8 tablets enter the market at the price of the cheaper WP8 handsets, that doesn't leave a space for RT. If you're talking about RT then are you sure you don't mean a Nokia 2520 since that runs RT, whereas the 1320 runs Windows Phone 8. Like you though I'm kind of wondering where this leaves RT - which always seemed a bit of a dumb/niche product, (like ChromeOS in that respect). Especially if Chipzilla's finest is now getting closer and closer to the extended runtimes of ARM-based gear. Don't think I'd be in the market for one of these devices, sure the price is attractive (if it equates to £100 plus VAT), but I suspect I'd prefer to pay a bit more for a “named” brand with a bit heftier spec.